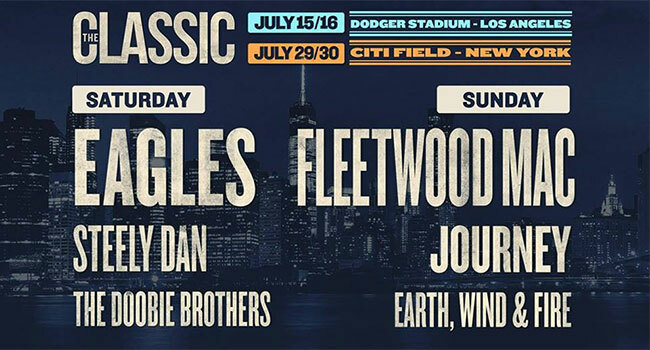 The second and final day of the Classic West festival was held on Sunday at Dodger Stadium in Los Angeles. 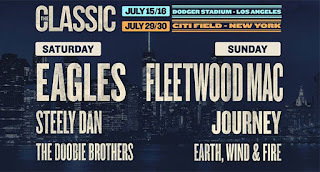 Saturdays lineup of superstars the Doobie Brothers, Steely Dan and the Eagles were followed on Sunday by Earth, Wind and Fire, Journey and Fleetwood Mac. Earth, Wind and Fire opened the day with a thirteen song set that was a virtual greatest hits collection for the band with the exception of two songs from the I Am album (Let Your Feelings Show, In the Stone). Fleetwood Mac kept the set list from their 2015 world tour with the edition of Sara mid-set and the removal of World Turning, Silver Springs and Songbird from the encore.